Juffage is Jeff T. Smith, a sound artist and multi-instrumentalist from Leeds UK, via Chicago, Illinois. Through relentless touring in the U.S.A., U.K., and Europe, Jeff has established a reputation for his sonically powerful and physically captivating live shows. His debut album ‘Semicircle’ was released to critical acclaim from the Guardian, NME, Loud & Quiet, Artrocker, and Drowned in Sound, with airplay on BBC Radio 1 and 6 Music. A recording enthusiast at heart, Jeff has spent time in some of Chicago’s finest studios including Electrical Audio (w/ Steve Albini) and Engine Studios (w/ Brian Deck). Currently finishing a follow-up LP, he has collaborated with Katie Harkin (Harkin, Sky Larkin, Wild Beasts, Sleater-Kinney), Tom Evans (Vessels) and Jenna Isherwood (Invisible Cities). 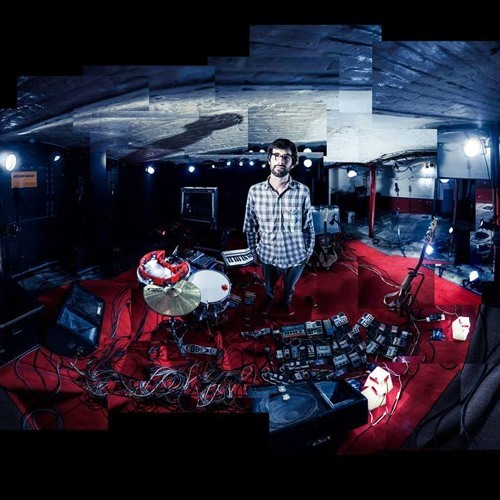 Previously, he has shared the stage with artists such as Deerhoof, Balmorhea, Dosh, Mount Eerie, Cloud Nothings, Xiu Xiu, Portico Quartet, Three Trapped Tigers, and Nat Baldwin (Dirty Projectors), and performed at festivals including ArcTanGent, Beacons, Tramlines, In The Woods, Rewire, Carefully Planned, Long Division, and Fell Foot Sound.